Kuala Lumpur, 15th September 2007: The Pasar Ramadhan at Kg Medan is reputed to be the longest such bazaar in Malaysia. It is a seemingly endless jumble of closely-spaced stalls, people and vehicles. 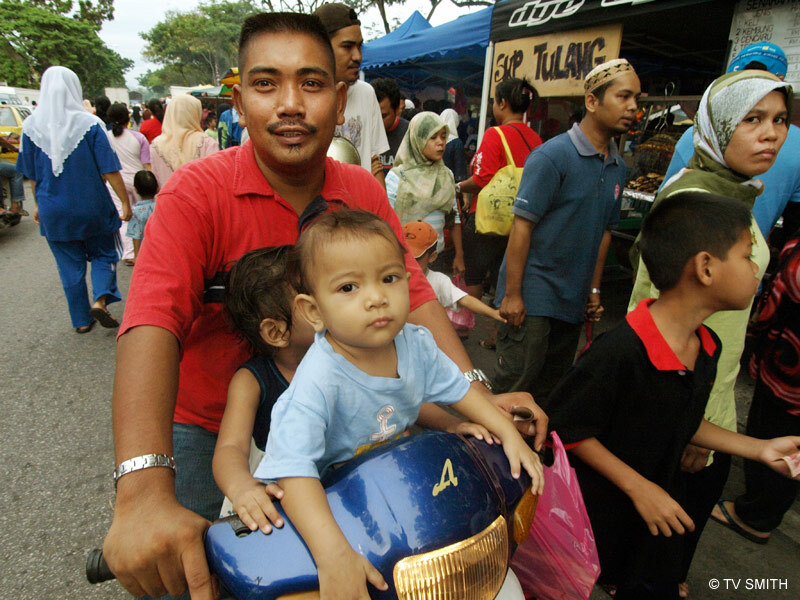 Due to its sheer size, many parents shop with their kids on motorcycles. Some rode pillion, some in a basket and quite a few; precariously balanced on dad's arm. The toddlers made fascinating subjects with their bewildered reactions to the topsy-turviness around them. I shall cover the mouth-watering food in another essay.